One of my very favorite places to visit is Half Moon Bay, California. I actually lived there until I was 5, so you could say I was born with a part of the coastal city in my heart. I spent my childhood, teen, and college years living about 20 minutes inland, visiting the ocean only sporadically for a beach day…and then I met my now husband. Before he met me, Mel lived in Half Moon Bay and once we were dating he introduced me to the wonders of the coast: hiking, the beach, and the good food. We’d get up early every Saturday morning to get over the hill before the crowds came and we’d spend hours exploring our favorite hiking spots, sitting on the beach, and eating our way through downtown. We actually fell in love on top of Montara Mountain, just a few short miles from Half Moon Bay. Now that we live a few hours away, I have to settle for only occasional visits to this wonderful little town and I cherish each and every one. Some day (once Jordan leaves the house) our goal is to move there so that I can walk on the ocean and get my salty air recharge every day instead of only once or twice a year. If you’ve ever in the area visiting San Francisco or San Jose, or even if you live in the Bay Area, don’t miss all that this little coastal town has to offer. It’s a must-see, even if you only spend one night. 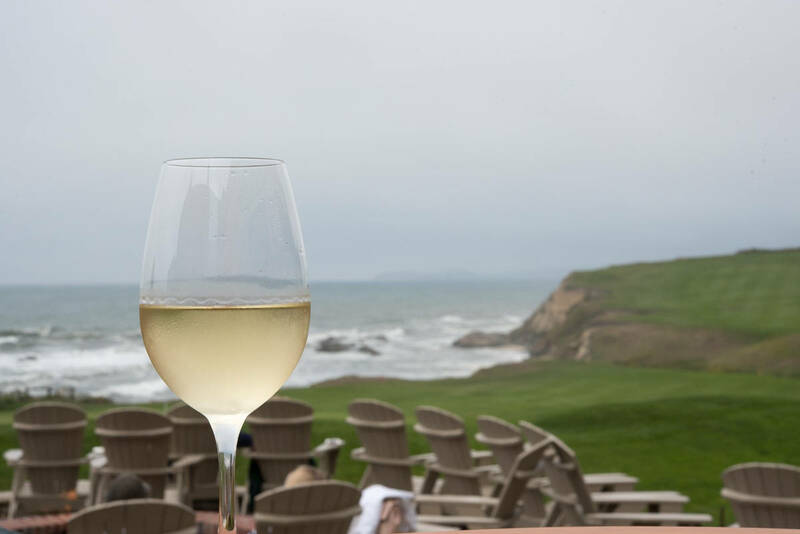 If that’s ever the case, you’ll need my guide to where to stay, eat, and play in Half Moon Bay, California! Visit the Beach. There is coastal access all up and down Highway 1. 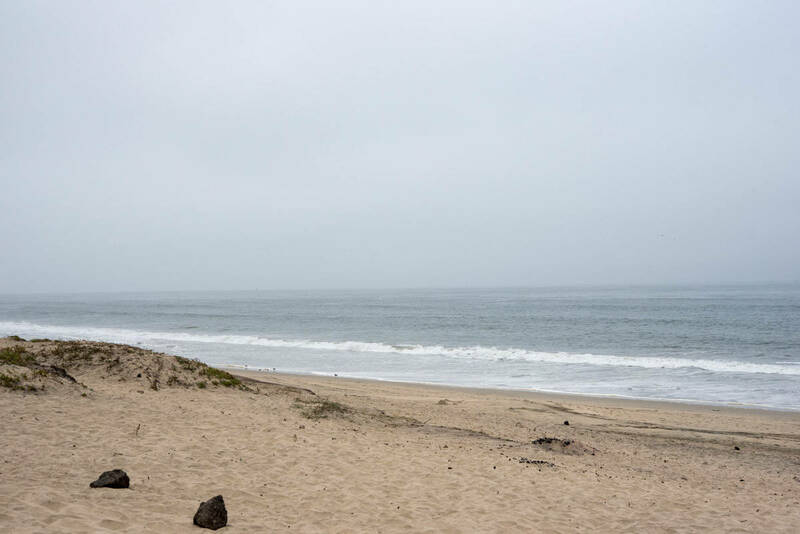 Some of the more popular stops are Venice Beach, Roosevelt Beach, Half Moon Bay State Beach, and Poplar Beach. The first three have bathroom structures, I believe, and Poplar has an outhouse. All of them require pay to park. Beach-going in Northern California isn’t like heading to Santa Monica Pier in LA. The water is COLD, so be prepared to don a wetsuit or just stick your feet in and enjoy some of the most gorgeous coastline in California. Montara Mountain. This isn’t really a walk – it’s definitely a hike. The shortest circle is about 3 miles long but it’s worth every step. You wind around the backside of the mountain through pretty coastal foliage. Just before you head down the mountain you get a gorgeous view of the entire coast (depending on the fog, of course). This is where Mel and I sat and had a picnic and fell in love! Poplar Beach path. 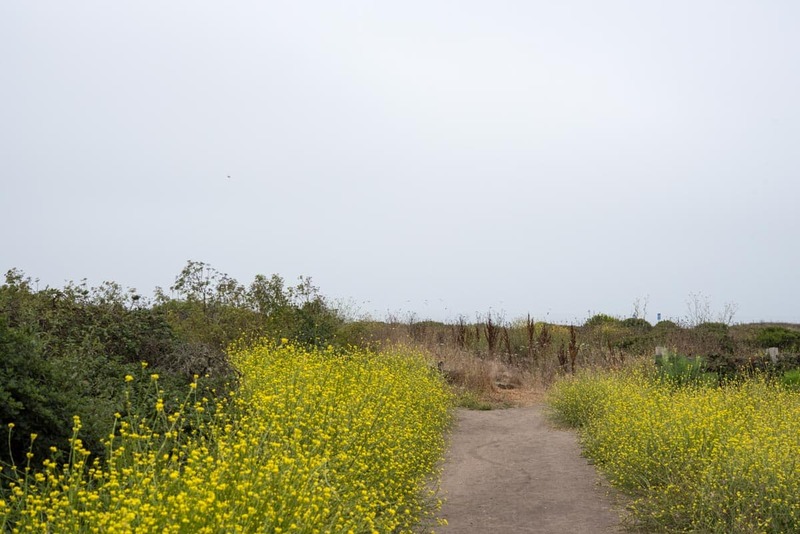 If you park at Poplar Beach (head down Poplar Ave from Highway 1) you’ll notice a path along the ocean cliffs. This path runs for miles in both directions and it’s a great starting place for a long walk. Most people head north, but south is just as beautiful! Beach path via Pilarcitos. A little farther south down Highway 1 from Poplar is a beautiful community of homes. If you park on Pilarcitos right at the end (there’s a spanish style mansion) you can walk on an easement to the beach path. Head south and walk as long as you want. You’ll go over some fun walking bridges, get to see all the state beaches, and enjoy some gorgeous wildflowers and local vegetation. Watch Mavericks: If you’re in the area in January (and sometimes December and/or February) you may notice a LOT of surfers (more than normal). The waves in one spot along the coast a few miles off the coast of Pillar Point Harbor. If you’re on Highway 1 you can tell where it is because there is Air Base Station there (it looks like a huge ball on top of a pole). You can watch the surfers from Ross Cove (and it’s a nice beach too). Shop downtown: this is a favorite of ours too. Main Street in Half Moon Bay is a quintessential small town USA main street with tons of little shops and restaurants. We always like to walk down Main Street (and EAT) after a walk. Oh my there are some good places to eat in Half Moon Bay!! I have two favorites that are MUST STOPS. Even if you can’t eat any more, do it anyway. And then go to the two bakeries and get dessert. 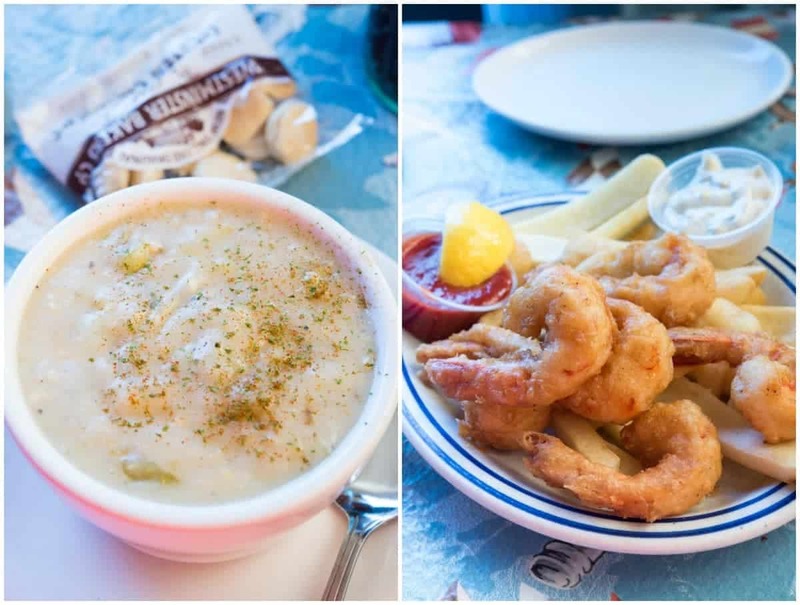 What to order: The Clam Chowder and the Tempura Shrimp. Don’t miss out on either of them! The chowder is unlike any you’ve ever had and I crave it all the time. Note: they ONLY take cash or check, NO credit cards! Mel introduced me to this shortly after we started dating. He told me they have the BEST bread you’ll ever eat and I was all, whatever, I’m a bread connoisseur. But, you guys, it IS. The BEST bread. They have two kinds, white and wheat, and both are fabulous. The sandwiches come to order and you can get a half or a whole. I suggest getting a whole and then taking half home for later…and a loaf of bread too. 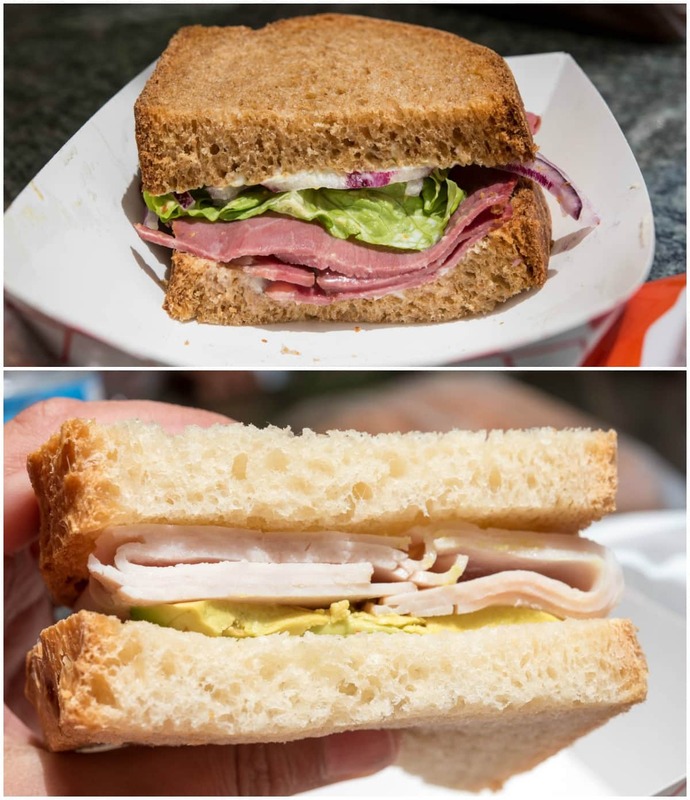 What to order: A sandwich is a MUST! This is my favorite bakery in Half Moon Bay. I’ve been to a few and they’re all good, but this one is my favorite. The cookies are fabulous but I always pine for their Almond Horns and Hazelnut Rings. BOTH are going on the blog this year. 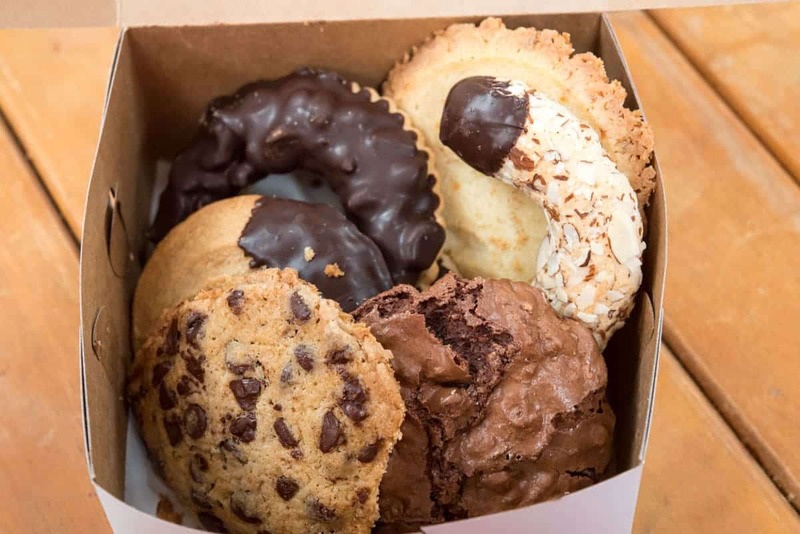 Get an assortment of cookies and treats for dessert, but this is a great breakfast stop too. They have good coffee and great pastries! What to order: an almond horn and hazelnut ring can’t be missed. We also love the Half Moon Bay Bakery (also on Main Street). And if you love coffee and hot chocolate, a stop at the Half Moon Bay Coffee Company is a must. It’s not quite on Main street, but close (it’s at one far end) and they also have a sit down breakfast and to. die. for. pastries, pies, cookies, cakes, and cheesecake! Also, you must eat at the Ritz Carlton Ocean Terrace…see below for details and FOOD! The views alone are worth it, but the food is so good! 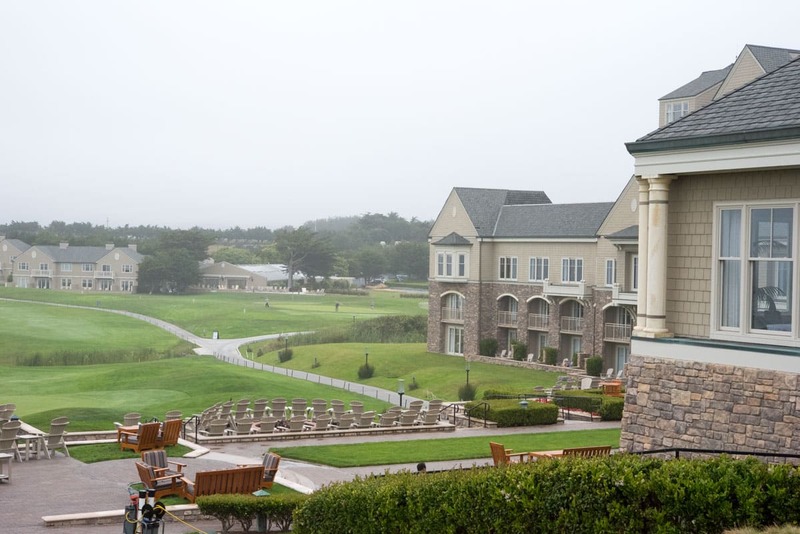 There are a few hotels in Half Moon Bay, and there are also lots of B&Bs if you like those. I’m a hotel girl all the way, the nicer the better. (I’m a total princess!) We’ve stayed at the Half Moon Bay Lodge several times. It’s nice and clean and a good price and has really nice grounds. This website shows a lot of the other options, none of which I’ve stayed at, but a few look nice and are in good locations. 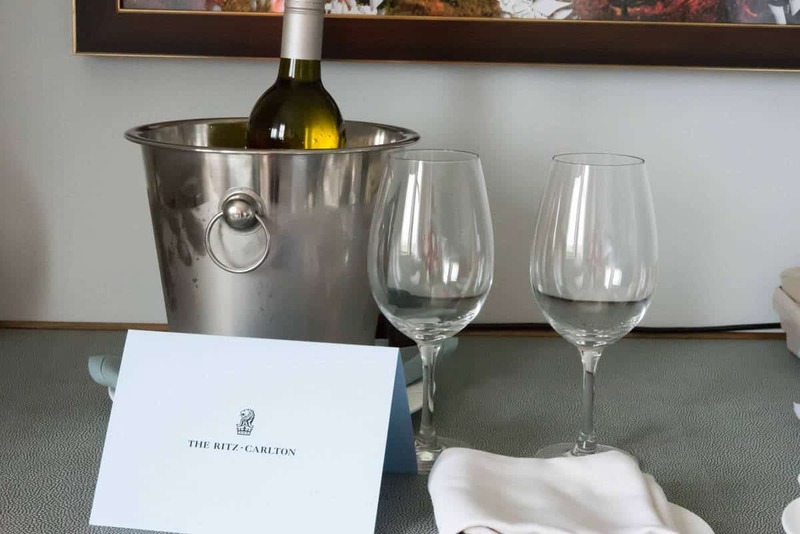 BUT…if you want a gorgeous hotel with gorgeous views…you really need to stay at the Ritz Carlton. Just do it, then thank me later. 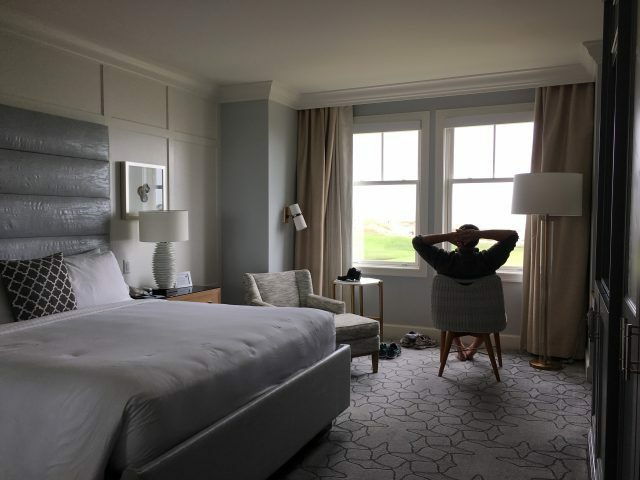 Our trip to Half Moon Bay last month was for our anniversary so I wanted to surprise my husband with a gorgeous hotel and the Ritz Carlton is just that. The hotel website bills the hotel as a luxury ocean front resort and it is exactly that, and then some. Our room wasn’t quite ready so we ventured out onto The Ocean Terrace to have a drink while we waited. When I stepped outside onto the deck I think I must have gasped; I haven’t seen anything quite so beautiful in a long time. The entire terrace bar overlooks the golf course, the cliffs, and the ocean. The terrace is complete with bar tables, adirondack chairs, and fire pits to make yourself at home. You can even get a s’mores kit to indulge like a kid again! Once our room was ready, our luggage was brought to our room within minutes. The room was gorgeous, all done in soft grays and white. The bathroom was my favorite part – it had a separate soaker tub! My husband loved the view: we overlooked the 18th hole at one of the two golf courses on property. He spent the afternoon watching golf from the window (who needs a TV?) and joking about some of the outfits on some of the players (picture neon pink and green plaid knickers with a matching hat). After our marathon of eating earlier in the day, we didn’t feel like a huge dinner. Plus, we wanted to soak up the view, so we headed back to The Ocean Terrace to eat. My husband indulged me as I ordered practically one of everything on the menu. At this point the fog was rolling back in so the waiter gave us blankets to use. The food was to die for and you had to roll me back to our room. 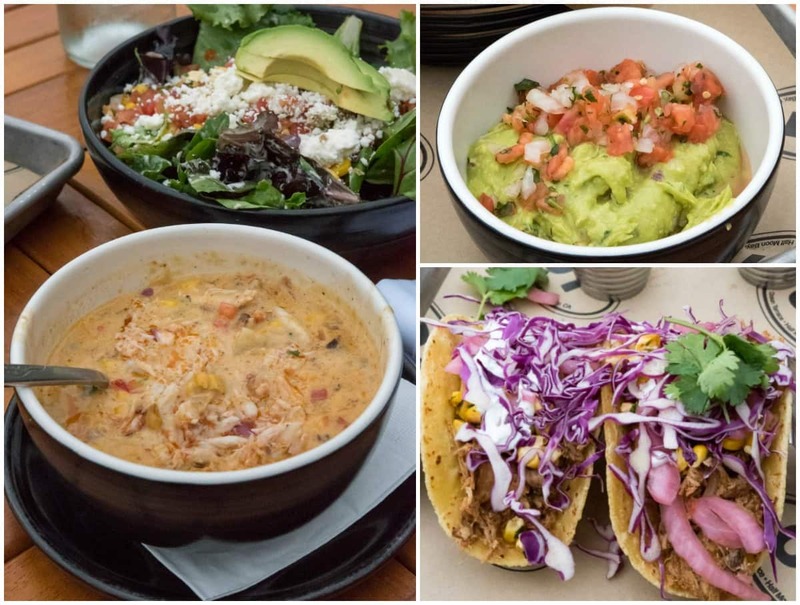 What to order: The tacos and the crab corn chowder are a must! The next morning we took a walk on the grounds. They’re breathtaking, really. And, if you want a good walk, you can even walk along the beach path heading north and go all the way to Poplar Beach! I told my husband we’re going to always have to stay at the Ritz Carlton when we go to Half Moon Bay now. Everything about the hotel was welcoming, from the staff to the rooms. I don’t think I’ll ever forget the view from that terrace, ever. 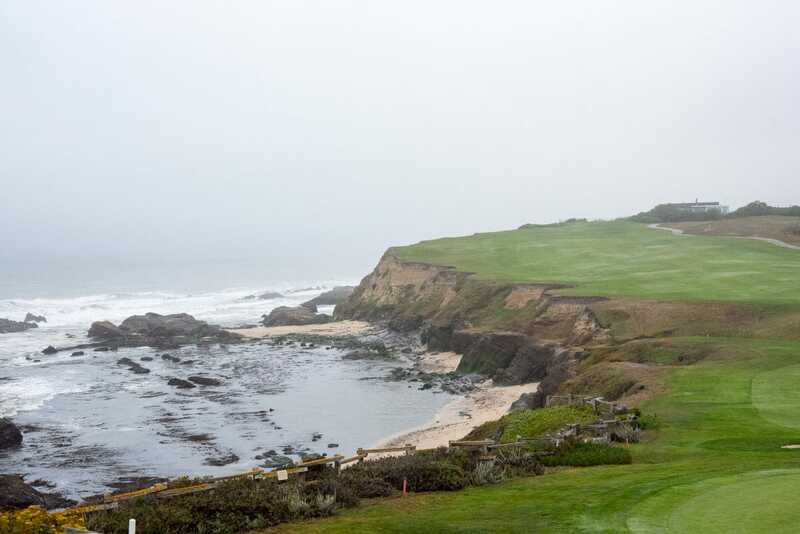 So, the next time you’re in Northern California, take a stop in Half Moon Bay. 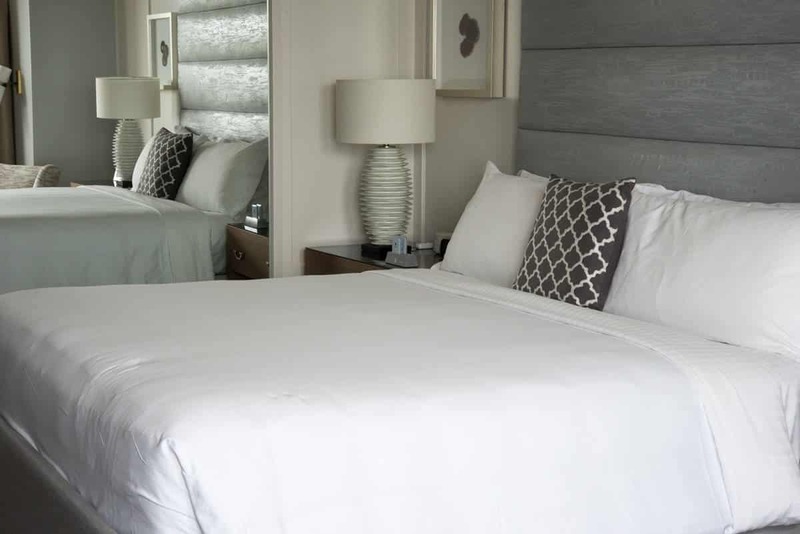 Stay a night at the Ritz Carlton, do some walking and lots of eating. You’ll fall in love with the coast just like I did! Disclosure: I was given a media rate for my stay at The Ritz Carlton in exchange for social media posts. This post is not sponsored and all opinions are my own. awww I love the history Half Moon Bay has for both you and your hubby! and it looks SO lovely!!! This looks like an absolutely stunning resort! The views, the room itself, great food, the whole thing just amazing. I love how you and Mel have such special memories and history in Half Moon Bay. I’ve never been but now it’s a must! Thank you so much fore reading!! this is a great guide Dorothy! 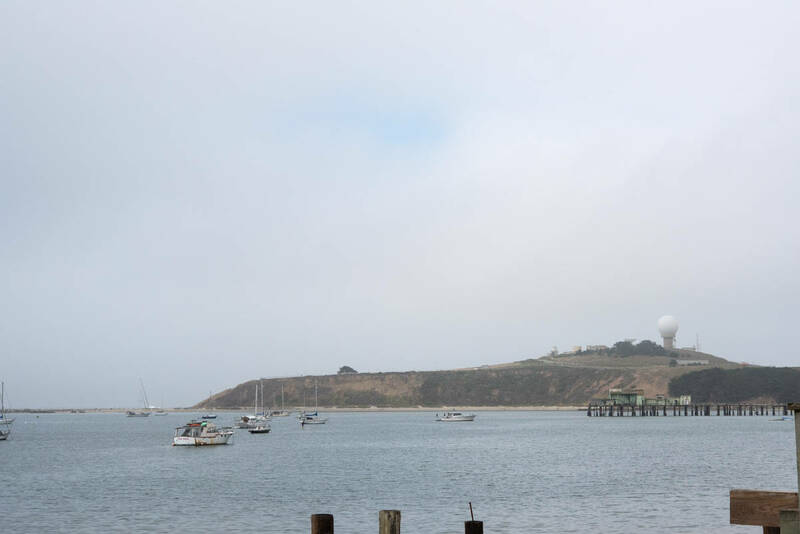 I’ve been visiting half moon bay since I was a kid but I haven’t done most of this stuff (and none of the food stuff–my parents are uneducated about food…) thanks for posting!! You MUST do the food. Sometime we should do a food blogger day trip! So agree with the choices you’ve given! The Flying Fish is GREAT too! I’ve never eaten there but I so need to try it next time! My husband said how good it was. I really enjoy Mill Rose Inn in Half Moon Bay. A lovely and beautiful European style bed and breakfast. The gardens are second to none. The food – to die for! That’s the one off Main right? We considered getting married there! I love Half Moon Bay, too. So beautiful, and so many great memories from decades of good times with loved ones. It’s our go-to place to get the moms and kids together when we are in town and want to see my daughter’s old baby playgroup (especially now that they are all teenagers and happily walk down the beach while just the mothers talk and catch up. I agree about the best bread! Thanks for the recommendations and the great pics! Dorothy….your story brought back so many memories. Our lives growing up are so similar and “some day” when I have the time, I’ll tell you all about it. In the mean time, so many thanks to you to bringing back so many happy thoughts….and most of all ….keeping me busy in the kitchen making all sorts of yummy desserts…. My boyfriend and I spent lots of time in Half Moon Bay back in the 1950’s when we lived in San Francisco and were dating in high school. It was very romantic for me and I wanted to spend our honeymoon along the coast too. So, we started out in HMB and then drove further down the coast. We were very young then (18 & 21) and didn’t have very much money in those days. He came home from the Army on leave to get married. Thank you for this article as it brought back such good memories.